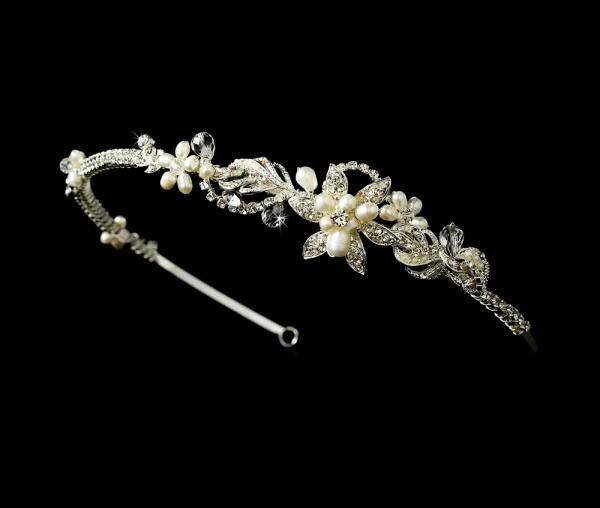 This stunning silver & ivory pearl bridal headband features ivory pearls and clear rhinestone accented flowers and leaves, a lovely headpiece for any wedding hairstyle. This headpiece is a lovely accessory for any ivory coloured wedding gown. Headband has loops at ends to secure to head.